I Am Going To The Rose Festival! Three years ago I contacted the Rose Festival to suggest to them that they create some events that were more accessible to people with special needs. Because I work so much with people with autism I knew that there were quite a few people who were never able to visit Cityfair at Waterfront Park. With the combinations of crowds, noise, music and carnival rides it was more than some of my students could handle. The Rose Festival has been awesome and for three years they have opened early one day during the weekend and allowed visitors free entry to the Walk on the Wild Side Animal Safari and the Kidzone. This finally allowed people with sensory issues a chance to visit the lions, skunks, lizards and snakes without any noise or crowds. I never dreamed the Rose Festival would be so amazing and every year is better. This year they are doubling the amount of time for the special needs day. June 3 from 9-11 there is free entry to Cityfair for people with special needs and their families. Come see the animals and then walk around the carnival area. At eleven the rides will start running so maybe you can stay and try a ride or two!! 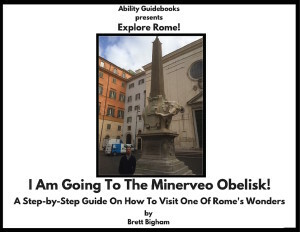 Below is a link to an Ablity Guidebook on how to attend the event. Print it out or pull it up on your phone. We look forward to seeing you at the animal safari! 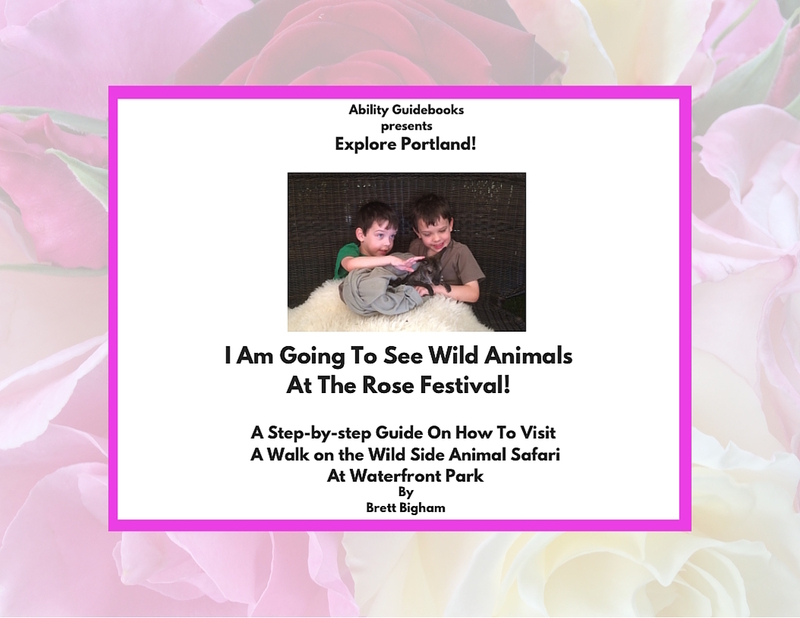 Author Brett BighamPosted on May 20, 2016 November 17, 2017 Categories UncategorizedTags Ability Guidebook, autism, brett bigham, oregon, portland, Rose Festival, teacher of the yearLeave a comment on I Am Going To The Rose Festival! It’s Time To Visit The Supreme Court! 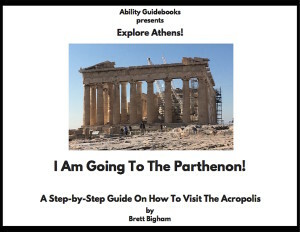 This book is all about perseverance! In 2014 Mike and I were in D.C. for the White House Honoring Ceremony. It was an amazing week and we took every spare minute to meet with elected officials during the visit. 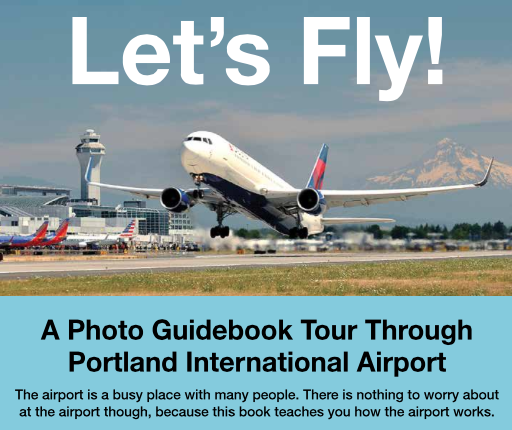 We had a few minutes in between meeting Senator Merkley and Senator Baldwin and we decided we had time to make a book! It was pouring down rain as we ran from the Hart Senate Building to the Supreme Court. There was over four inches of standing water in the street! We splashed through, raced into the Supreme Court and quickly squished our way throught the building taking pictures as fast as I could. Needless to say, the pictures turned out pretty terrible and I didn’t have the shots I needed to make a book. Nine months later I was awarded the NEA National Award for Teaching Excellence and Mike and I found ourselves back in D.C. 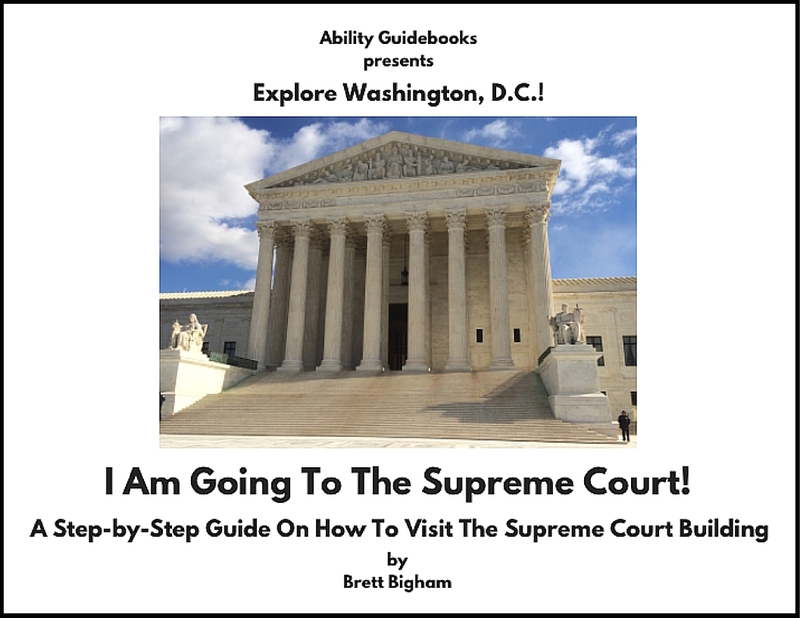 I had my chance to get those pictures I needed to complete a Supreme Court Ability Guidebook! Again, the weather was none to cooperative. February snows kept us from our photo mission. Last October I had the honor of being part of Kevin Jennings book tour for his book “One Teacher In Ten In the New Millennium.” He had accepted my essay “Teacher of the Year” for publication and I was able to travel to D.C. and L.A. for book readings. During that trip I was finally able to get the last pictures I needed at the Supreme Court. 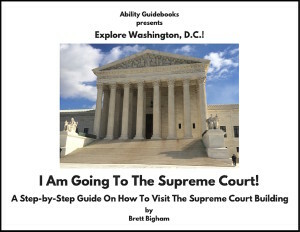 Author Brett BighamPosted on May 13, 2016 May 13, 2016 Categories UncategorizedTags autism, brett bigham, support, supreme court, teacher of the year, touristLeave a comment on It’s Time To Visit The Supreme Court! One of things I believe most firmly in is that our kids with special needs have got to get out into the real world and participate more. I realized with my own students that some people need different supports than others. Some of my students with autism needed to know in advance what was going to happen. If they knew in advance where they were going and what was expected of them, then they were successful. 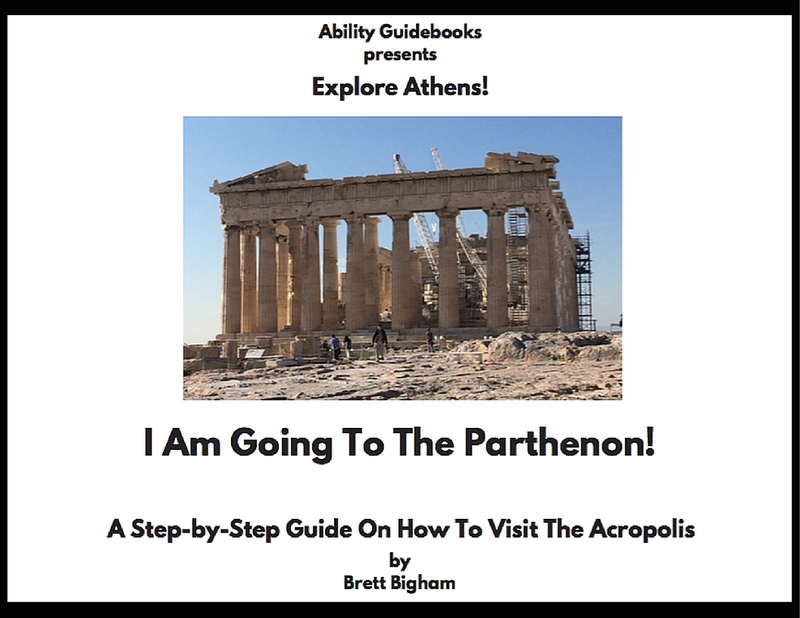 That is why I created these Ability Guidebooks. But not every person with autism is the same and no two outings are the same. Sometimes a teacher or parent needs to try some smaller, easier outings to get the ball rolling. That is why I sometimes make Guidebooks for outings that are hardly more than driving by in the car. “I Am Going To Willamette Falls”, for instance, is not much more than an explaination on how to safely get out of your car at the viewpoint to look at the falls. Visiting Portlandia is similar. 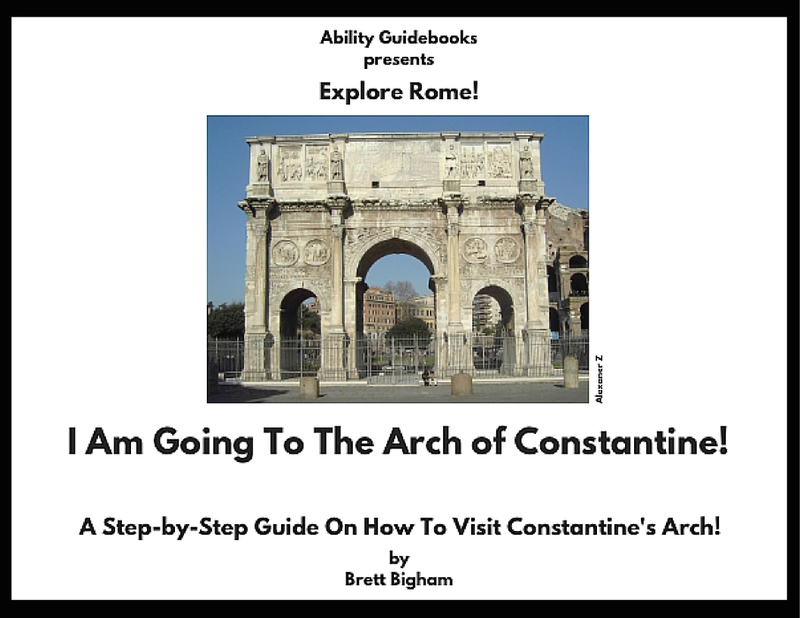 This Guidebook to visit the Arch of Constantine is one of those low-impact outings. 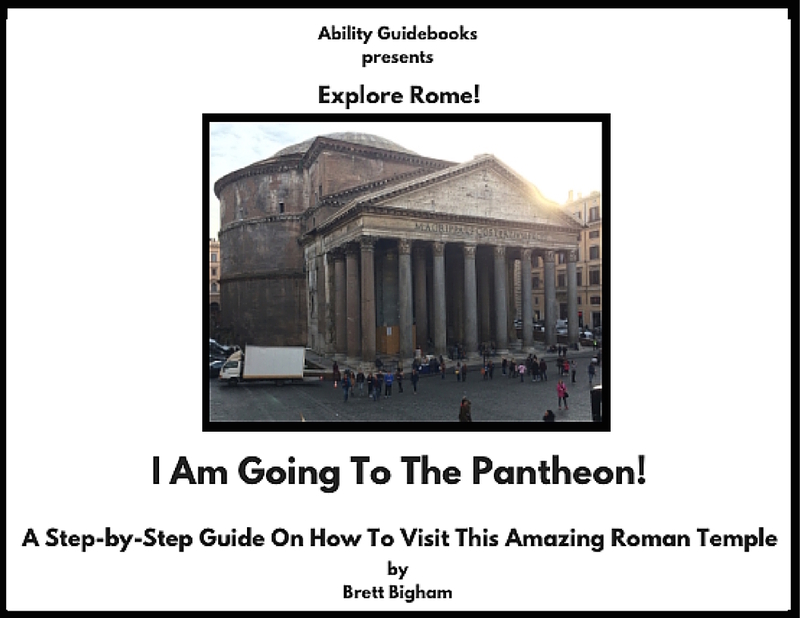 You could read this book and drive by the Arch for your first attempt, the second you could get out and take a picture from the road and on a third you can park and take a walk around the Arch. The goal is a successful visit. That might take a few attempts with some people. But each visit is a step in the right direction and one victory gives you a foundation to build on. 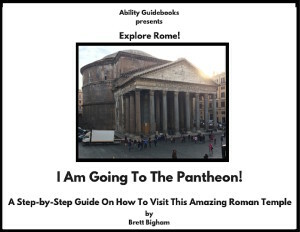 The next outing, say to the Colisseum, would build on the skills learned from the first book. First, the student understands the formula (first the book, then a visit) and each outing following that formula will become easier and easier. With each success the student has learned that they can go new places. Each new place is a victory and the stepping stone to the next destination. As their confidence grows, the needs for the books diminishes. Before you know it, going places is as simple as getting in the car. 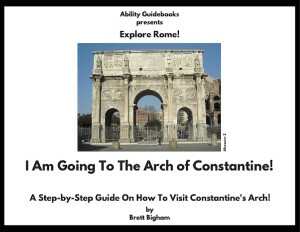 Ability Guidebook_ I Am Going To The Arch of Constantine!